Yes, It’s that time of the year again! You should start thinking about your tax return during the quieter Christmas period, so you’re not caught out in January. You’ve already missed your chance to file a paper tax return which was in October. Online tax returns must be submitted and any tax paid by the 31st January 2016. Failure to meet this could trigger a fine of £100 plus £10 a day. HMRC is trying to encourage people to file online as much as possible. You will need to first register and obtain a government gateway ID. This is a straight forward process. Once registered you need to activate Self-Assessment online services by providing your UTR and postcode. HMRC will then send an activation code to your home address. This generally takes 5 – 7 working days. You can only view and submit your return online once you have received and entered this activation code. Anyone who received a taxable income that wasn’t covered by PAYE in the tax year to 5 April 2015 needs to complete a tax return. this includes if you are: self-employed and work alone as a sole trader; are a partner in a business, or are a company director. You also need to fill one out if you are employed and pay taxes through PAYE but earn self-employed income too. You have to report everything you have earned over the tax year from 6th April 2014 to 5th April 2015. This includes income from employment, self-employment, income from property and interest and gains on your savings and investments. In the tax year 2014/15 most people had a personal allowance – that’s how much you can earn before income tax is due – of £10,000. If you were born between 6 April 1938 and 5 April 1948 then your personal allowance rises to £10,500 and those born before 6 April 1938 can have an income of up to £10,660 before they are liable for income tax. What should I do before I fill in the forms? Gather all the paperwork. Invoices, Bank statements, Payslips, P60 and bills. General rule is start from all documents supporting the income and then all documents supporting any deductions, expenses incurred in order to generate this income. The most effective way to cut your tax bill is by claiming expenses. If you are self-employed you can claim a whole host of expenses from energy costs if you work from home to stationary and travel costs. You can even expense a portion of your mortgage interest if you are a landlord in some cases. If you are likely to have a reasonably large tax bill and are unsure about any element of your tax return it is a good idea to employ an accountant to help you. They will charge at least £150 in most cases, but are likely to cut your tax bill by far more than that thanks to their expert knowledge of expenses. Don’t start filling it straight away. Read the helpful instructions and glance the entire form. Self-assessment is a complicated thing and it can be very easy to make mistakes on the forms so start familiarising yourself with all the questions and make sure you understand everything. If you have submitted Self-Assessment returns previously, make sure you take into consideration any prior-year losses. 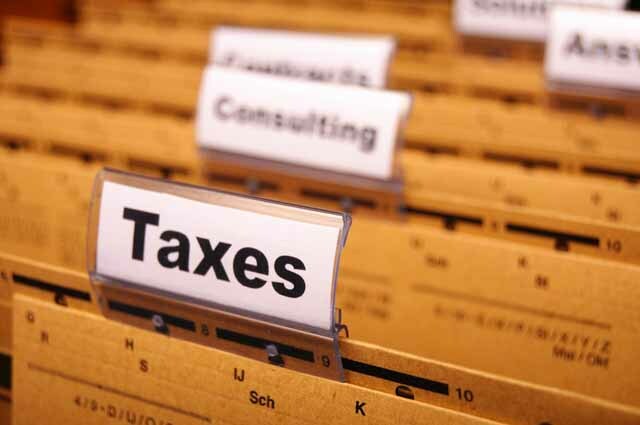 Any losses could be offset against any profit / income made in the current tax year. You have done all this hard work. Rounding up might look better but only triggers a further enquiry indicating that your personal tax affairs were not maintained properly. Where VAT registered separating VAT from your income is a relatively simple sum. However, for those who haven’t invested in financial accounting software don’t forget to remove VAT. If you’re using a spreadsheet at home or at work that you have created, remember to check that you’re not including VAT when logging your receipt amounts. This is a really common problem and it is exactly the sort of mistake that can lead to a fine from HMRC. Triple-check or use software which will account for your VAT correctly and automatically perform this process. This may sound like the most obvious point of all, but don’t forget to actually pay your tax return! Even if the return was submitted on the last minute don’t wait for HMRC to write back to you confirming acceptance to Pay. You need to pay the amount tax owed based on your calculations. Best way is to pay it online and use the correct account details and your UTR as your reference. Most banks have set templates with correct account details for HMRC. Alternatively, you can pay by cheque, cash or debit card at the Post Office provided you have sufficient time to ensure cleared funds reach HMRC before the deadline. Finally, it is important to understand the range of payments that you will be required to make as a Self-Assessment taxpayer. In addition to your balancing payment, on 31 January you will also probably have to make your first payment on account. This will be equivalent to 50 per cent of your tax bill, and is intended to minimise the shock of next year’s tax bill. You should make sure that you take this into account when budgeting. You have the option of using other methods of paying including using the PAYEE Coding. You should read about this carefully or preferably obtain professional help. We at Outsourced ACC understand the change in need and ensure our clients get a comprehensive tax evaluation every year. We also include a 24 X 7 helpline throughout the year which is part of our package when you appoint us as your tax agent. Our prices are very competitive and offer a range of discounts for couples and groups working together.